Columbia Police Chief Skip Holbrook announces two arrests in a narcotics investigation that resulted in the seizure of approximately $40K worth of marijuana from a South Columbia home. Jamie Rush (DOB: 10-16-1985) is charged with Possession of Ecstasy (MDMA) and Possession of Marijuana. 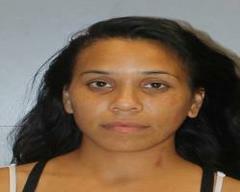 Christa Corneliusen (DOB: 9/17/1986) is charged with Trafficking Marijuana and Possession of MDMA. South Region officers were initially dispatched to 12 Willow Tree Drive yesterday morning for a domestic disturbance call for service. During the investigation, officers detected a strong odor of marijuana and saw what appeared to be marijuana inside the home. 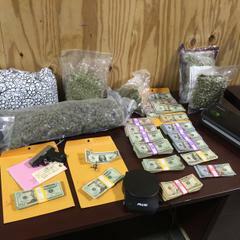 Officers with the Organized Crime and Narcotics (OCN) Unit went to the scene and with a lawful search warrant, seized approximately 10 pounds of marijuana, 1 gram of Molly (MDMA), 1 Ecstasy (MDMA) pill, a Kahar 380 caliber handgun, $150 in counterfeit currency, and more than $20,000. All persons arrested/charged are presumed innocent until proven guilty in a court of law.